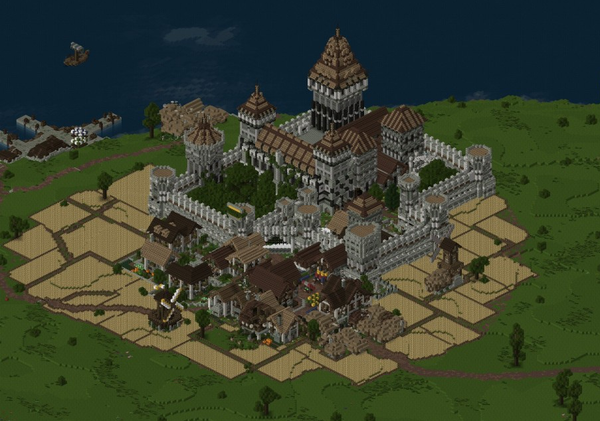 Created by evil_gordita on Dec. 31, 2013, 8:02 p.m.
For up to date rules and info, please visit testedminecraft.club. The server is not afk friendly. AFKing will get you kicked (not banned). Seek permission before altering other’s property. Do not ask to become a moderator. To get into the Minecraft server, you'll first need to register and purchase a paid account at minecraft.net. After you have done so, you can either play the the game through the browser, or download the client .exe from the Minecraft website. Please note that you'll need Java to play Minecraft. 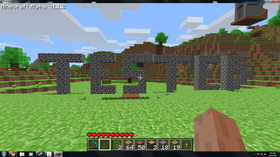 Once you have accessed the game (either through the desktop client or through your browser), you will want to click on 'Multiplayer' and type in the server address, testedminecraft.com. You must log into the server first before we can promote you. When you first join the server, you will be able to roam around and look at everything, but you cannot build. You must log onto the server first for us to be able to give you permission. 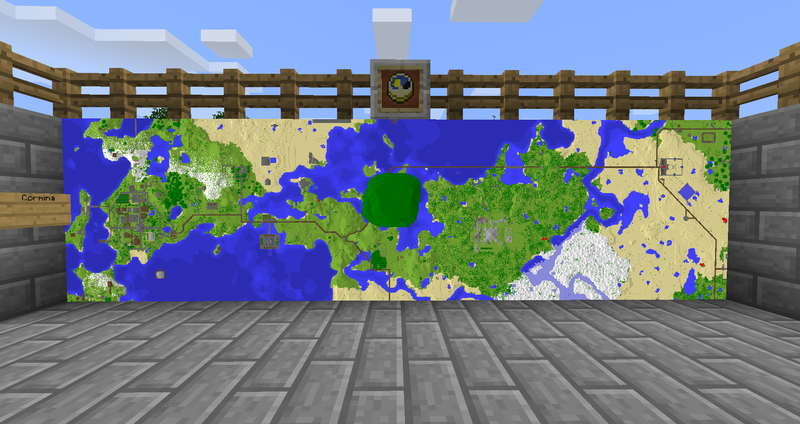 To request permission to build, please visit the Tested Minecraft Signup Form..
A final map was generated on 3/18/2012. it is frickin Huge! The Tested.com Community Minecraft Server is a 15 player server with a memory limit of 768 MB. It runs on a server that has a Dual Intel Xeon E5-2690 (Sandy Bridge-E 2.9ghz) with 16 total processor cores and 96 gigabytes of RAM. Hosting is provided by Nuclear Fallout. The server is billed annually on November 7 and costs $132.50 per year. 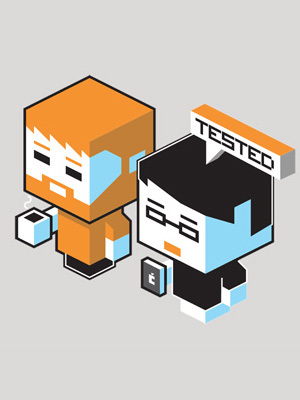 Hey Tested friends! As you may or may not know, over a year ago @xantar has agreed to let me take over the Minecraft server. I am the third such person to take on such an endeavor. Those of you who have been here the longest may remember that this server was originally ran by moderator @MAGZine. The year 2014 is only an hour away in my time zone and what better way to celebrate than by finally upgrading the server to the latest Minecraft release. 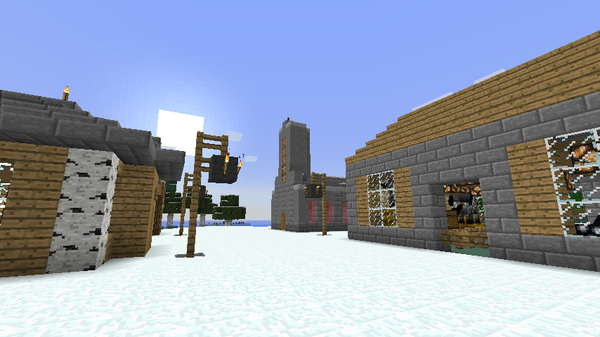 We operate on a modded server using something called Bukkit. We primarily intend to use the extra features we gain by using Bukkit for administration purposes and strive to keep as close to as vanilla an experience as possible. The primary game world is a Survival Multiplayer map set on Normal difficulty. If you find the teleporter hub, you will find the entrance to a separate Creative mode map where you can build wherever and whatever you want. So update your game clients and dig away! On behalf of the other moderators; I welcome any new players to the server! Any questions that the main post doesn't clear up, feel free to ask me on the server, or on here. Can someone tell me where my massive farm is? I've forgotten. @JeffreyGee: your like cylinder farms? @coopdegra: Nah, the one in the open fields. I found the towers. I'd been robbed. @JeffreyGee: i'm on the server right now, i'm not even sure those fields existed on this map. @JeffreyGee: Dude, when did you build your farm? It's been so long since you've the last time you were on for more than a few minutes, it might have been before xantar reset the map. @evil_gordita: That's what I'm thinking. It was a long time ago. Do you remember it? Wow, these full frame maps are pretty cool. @zmaster: They are! I wonder if that is a mod. Speaking of maps. @evil_gordita: would it be possible to get an updated server map? @JeffreyGee: the full frame maps was an update in 1.7. 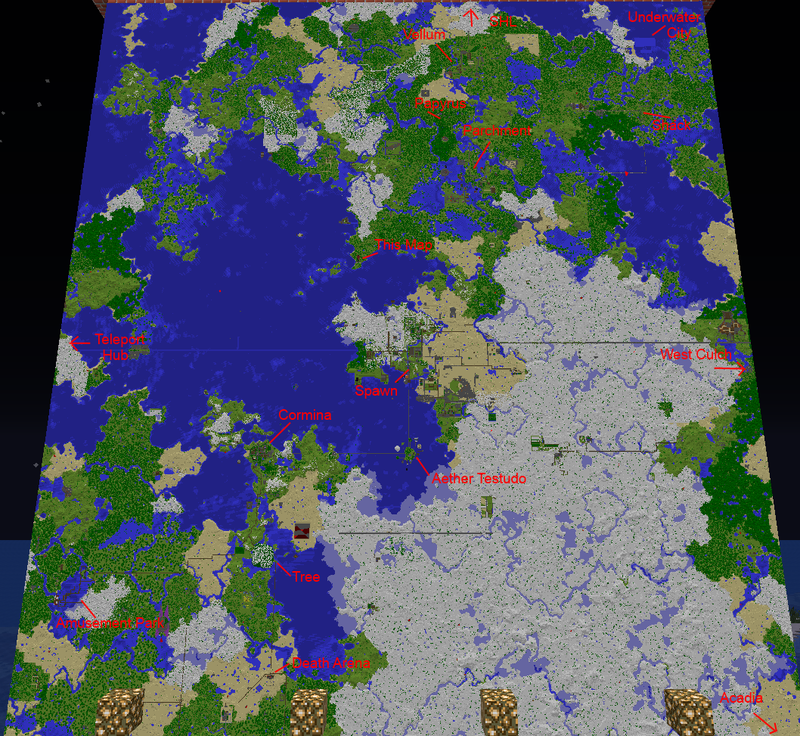 @evil_gorditai agree, a full server map would be great. @zmaster: How is it so accurate?! @JeffreyGee: its made of separate maps i plotted out a while back. they have been there in frames for a while, but the update made it so that when a map is in a frame, it doesn't show the frame, just a full block map. turned out better then i thought it would. @zmaster: So you measured it so each would line up? 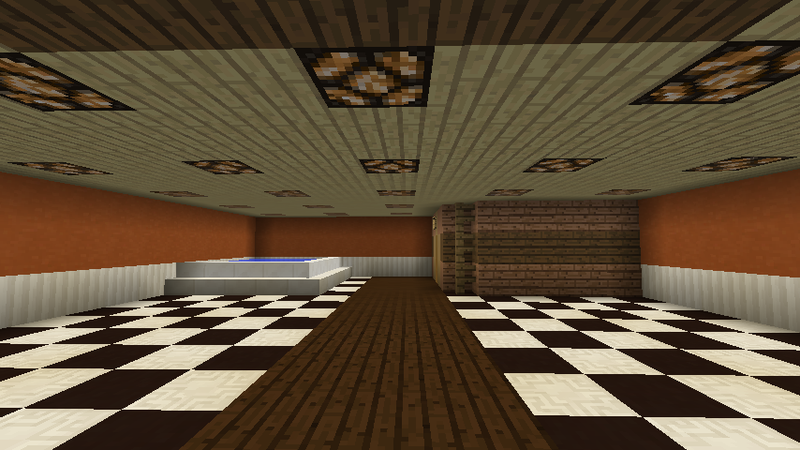 Finally finished this basement at the Oakvale Isle Hotel, next to the amusement park. @JeffreyGee: It would be great to have a map, wouldn't it. 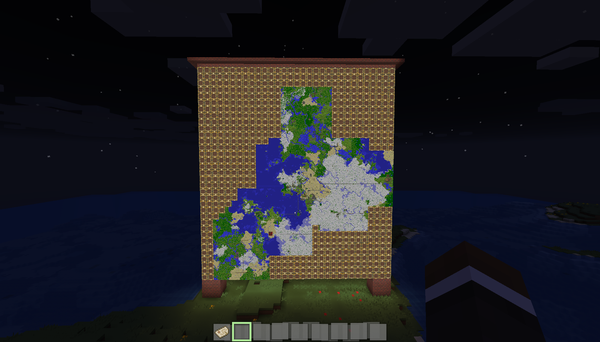 I need to revisit that, but every time I attempt to make a map ends in failure. 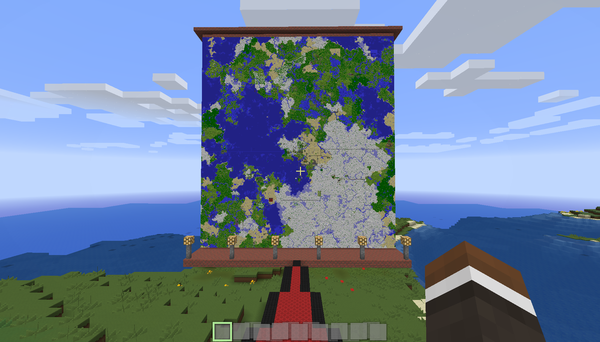 As for how zcreator got the maps to line up, apparently they changed the way maps work in the game a few updates ago. Instead of the map being centered on where you create it, the map is on a fixed grid. @coopdegra: It's ridiculous. I drop from over 300 frames/sec to less than 15 at its current stage. I added a bunch more afterwards. I have plans to make it more manageable, though. Fin. 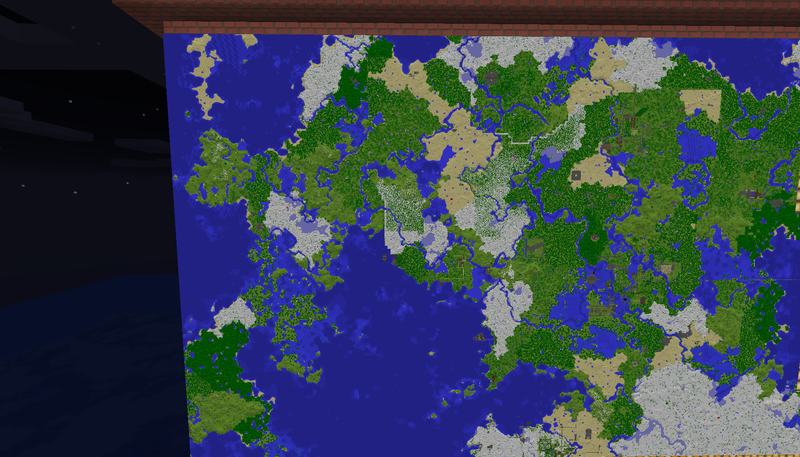 I will set a MAP warp when I'm finished with the surrounding areas. The map takes me down to 5ps from over 300 when viewing the entire thing. All credit for this awesome map to @JeffreyGee, I just labeled some stuff. @coopdegra: I don't know why they bother. I think I was ranting to Bomphav about how the biomes are such BS. Like the random taiga areas near desert, the nearly half-dozen ponds/oasises in each desert, etc. I mean, nobody wants taiga/ice plains biomes that large anyway; nobody builds there. So, somewhere in this area since its so sparsely populated. Is this your little town? found it out looking for new land, no signs to find out who made it. Yup, thats mine. Havent been on much recently, hope to get back to it soon. @Zenlizard: Great, I left a sign, hope you dont mind. @coopdegra: How does this look to you as a general guide? This is on the Westeroscraft server. I believe it's Longtable. I really like the large amount of farmland around the castle.